Experts have revealed they are worried about a surge in the number of cases of dengue fever being seen around the world. The disease is endemic in 110 countries and is found in urban and sub-urban areas, and Dr Robert Quigley, who is medical director for International SOS in the Americas, is concerned that travellers are increasing the spread of the fever. There have been outbreaks in Thailand, Saudi Arabia and Peru recently and more cases in the USA and he says the severe variety has a "mortality rate that can exceed 25 per cent", whereas it should only be around 1 per cent in the standard variety. 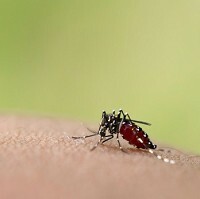 He added dengue fever can spread rapidly because humans act as a host for the disease and they can pass it on to uninfected mosquitoes once they have been bitten by insects with the disease. So having medical travel insurance to cover for the worst eventualities is even more important.